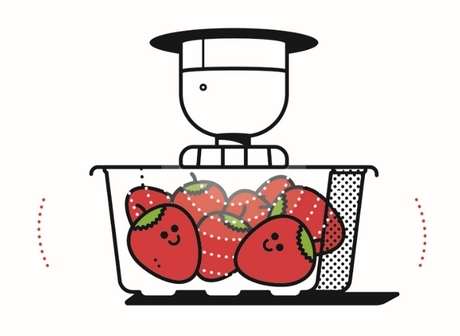 Scottish-based food-safety company Anacail has delivered its first production machine into a berry application in the UK, with interest growing world-wide. 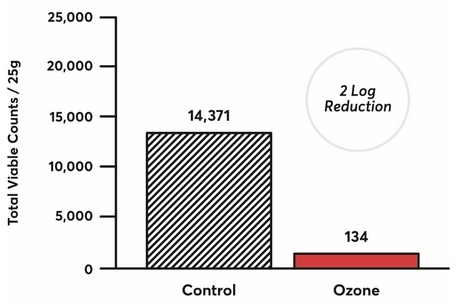 Their patented Ozone treatment uses technology which is situated after a tray sealer on the production line and is designed to work with traysealed packs. While they have seen good benefits in stone fruit, avocados and top fruit, the company is currently focussing on three main produce lines; grapes, tomatoes and berries. "Our machine basically generates Ozone gas (O3) into a sealed pack using a high-voltage electrode to create a cold plasma.” Business Development Manager Ian Dewar said. "The ozone is created from the naturally occurring oxygen inside the pack; it breaks apart the oxygen molecules, and they recombine to create Ozone. The treatment head comes down onto the pack, creates a seal, and then we fire the electrode and that generates the plasma. In effect we are breaking up oxygen molecules and converting them to Ozone." Each machine is designed to match the output from the upstream equipment without the need for tool changes, with the electrodes generating ozone inside the pack without affecting the seal. Mr Dewar says one of the important factors is that it does not harm the produce, or make it unsafe at any point in time, but increases the shelf-life by killing spoilage mechanisms harmful to the fruit. Comprehensive organoleptic testing and migration testing on the packaging have shown that the process has no detrimental effect on the fruit relating to taste or smell and that there are no harmful chemical residues generated as a result of the process. Anacail has had interest from as far away as Japan and Australia, but the focus is on customers in the United Kingdom and Europe. At the moment the technology will just be used on tray-sealed packs, but Mr Dewar says developments into other packaging formats will be looked at in the future. Anacail are also currently in the process of developing new ozone technology for factory hygiene applications and for high level disinfection for medical devices. There are also plans to expand this technology into ready to eat applications, such as snacking products like cherry tomatoes or cucumbers. "We can get such a good log reduction in microbial load that the customer potentially doesn't need to wash it," Mr Dewar said. "That's just one of the benefits – you’ve killed a lot of microbes, moulds and yeast at the surface, making the food safer to eat. It does not just improve the health and safety of the product, but improved shelf-life is another important benefit of this technology. Mr Dewar says the exact length of extension will vary from crop to crop. "I would say generally it would mean potentially an additional 2-3 days life on berries," he said. "You can sell an ozone treated product for a longer period of time, particularly if the fruit isn’t as robust as normal or has a specific issue, maybe grown in wet weather for example. So, let's say you pack a crop of tomatoes or grapes, after 7 or 8 days, half of them might be no longer sellable. They might have mould issues for example. What our technology does is move that out by say, an additional 4 or 5 days before you may start to see mould, which is an enormous benefit. What our system also does is improve the quality through the existing shelf-life, so you can sell more of the packs for longer – some of this shelf life extension ends up going to the consumer as well, so everybody wins. Food waste is something everyone is aware of today and our machine is a novel, effective and powerful tool in that battle."